When many of us think about travelling to Florida, we think of the busy Orlando area filled with thrills and shopping or Miami’s flashy nightlife and we are left wanting something more. 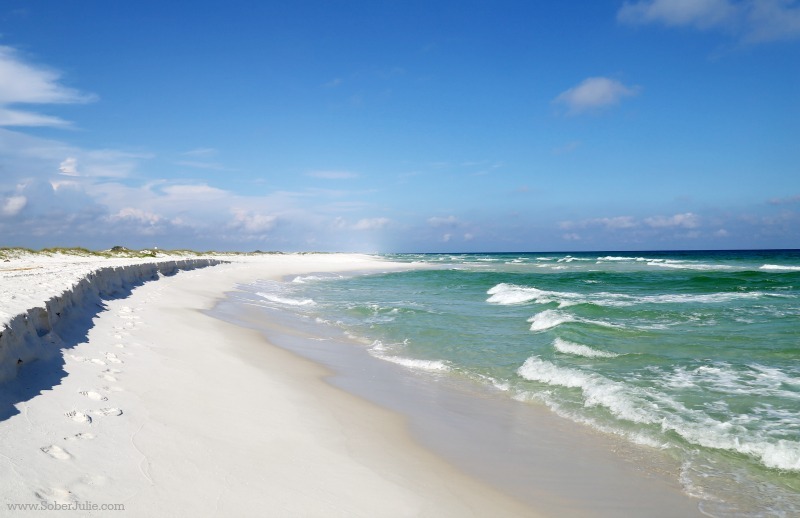 If you move your eyes along the Florida Panhandle between Pensacola and Panama City you will find The Emerald Coast of Florida. With it’s quieter lifestyle, filled with white sand beaches and turquoise waters, this area welcomes visitors with a down-home hospitality which has many of us falling in love. World’s Best Beaches: Upon arrival our gasps could be heard as we gazed upon the blues and turquoise greens of the waters which are rivalled only by the Caribbean. Spanning all along the coast, these beaches have a sand that squeaks when you walk upon it. When the sun is bright you’ll agree that the sand is so white it looks like snow. 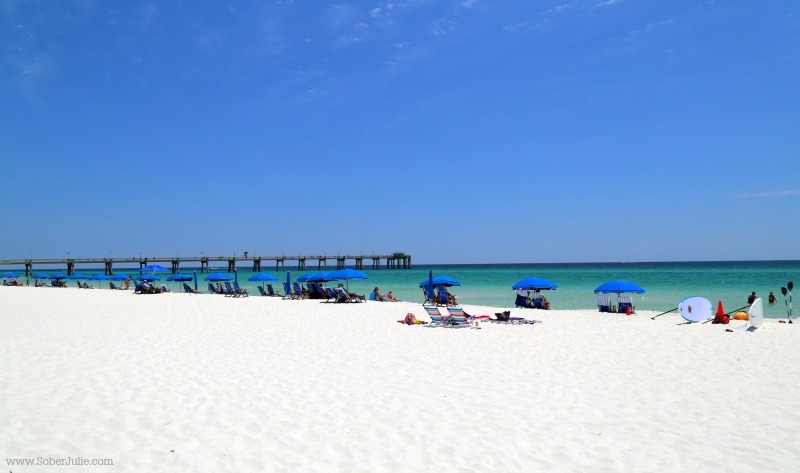 Variety of Accommodations: From rooms in a beachfront bed and breakfast, a marina motel, a rental condo, or a name-brand hotel…in the Emerald Coast you can have your choice! 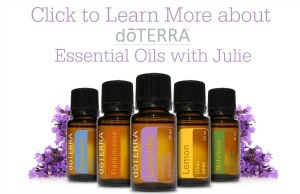 If you’re looking for places to stay, check out the Visit Florida website for options HERE. Fishing! : Grab your fishing gear and get ready to enjoy some of the best fishing in the world. 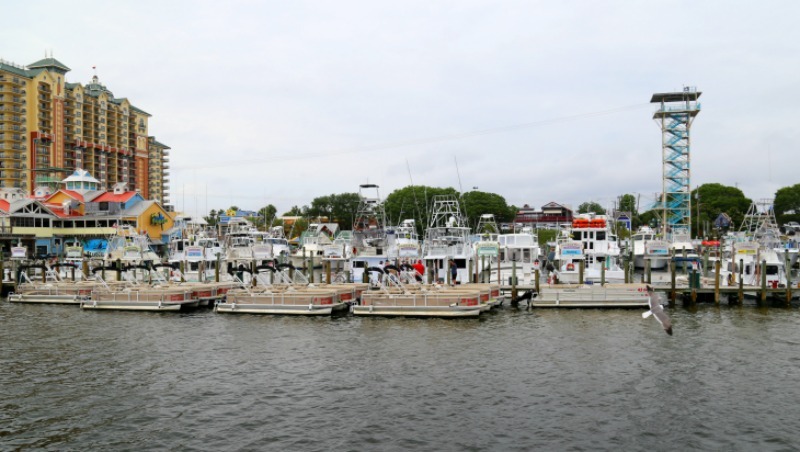 The emerald Gulf shore line holds enough sailfish, grouper, mackerel, cobia and wahoo to keep the vast fleet of charter boats busy all year round. If you’re looking to get out on the water be sure to look at the charter boat options available HERE. Seafood Restaurants: Speaking of fishing, did you know that Destin is known as the “World’s Luckiest Fishing Village”? With this comes some glorious restaurants for anyone looking for fresh seafood. 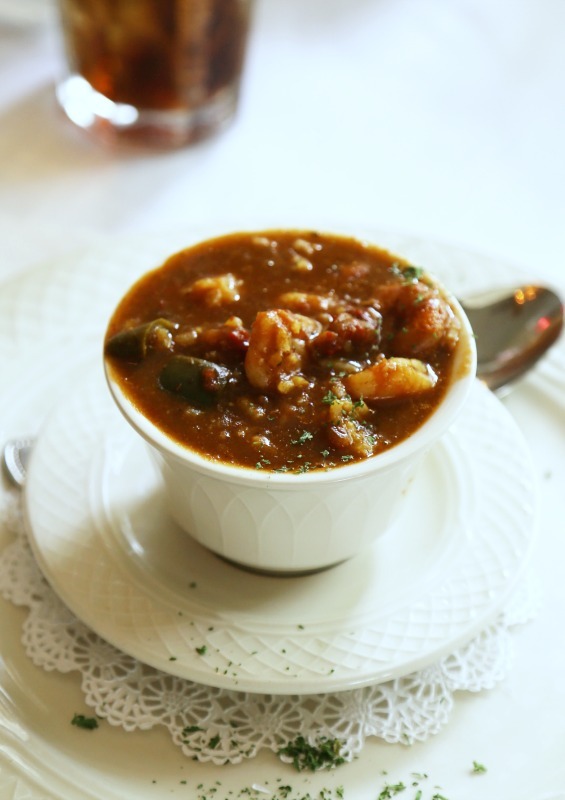 Is their famous Gumbo calling your name? 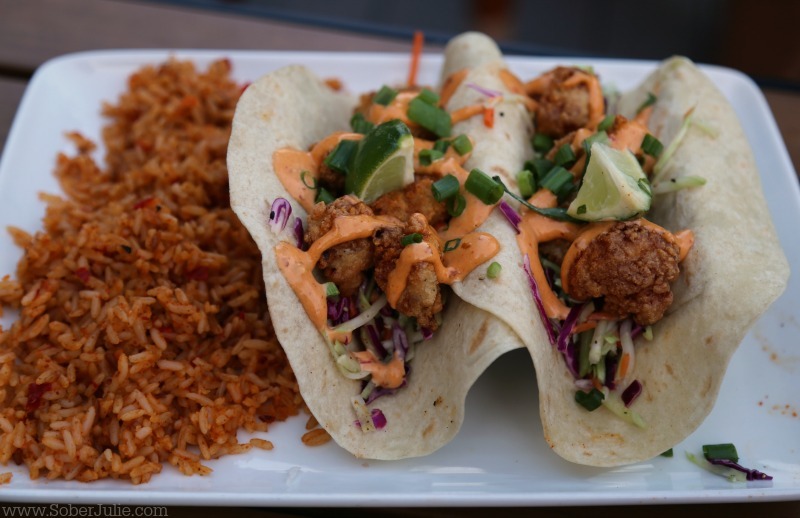 There’s even things like ‘Gator Tacos for those who are adventurous. 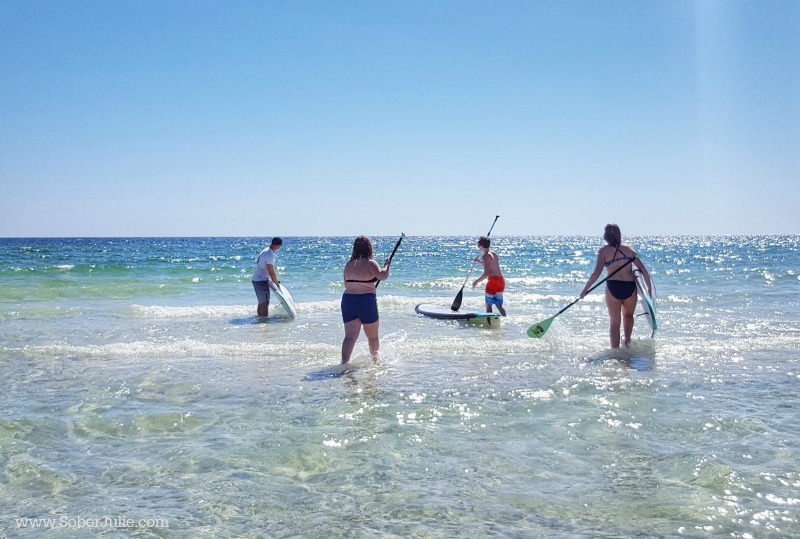 Ocean FUN: Some folks are looking for activities on the water and The Emerald Coast has endless choices. From paddleboarding to chartered boat tours, there’s plenty for everyone. Fun on the Land: There are plenty of options on land as well. Check out the fantastic shopping outlets, go for a walk at Henderson State Park or James W. Lee Park, play a round of golf, go parasailing or even learn to build a sandcastle from the pros! You can see more options for activities in The Emerald Coast HERE. Florida remains one of my favourite travel spots, one where I suspect we may retire to. With it’s varying cultures and activities it seems to me that Florida is just plain perfect for anyone. We love having a variety of choices and Florida’s rich culture certainly provides us with that.